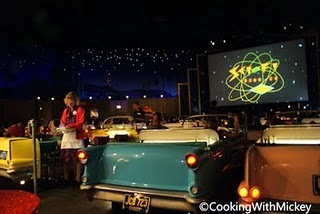 Sci-Fi Dine-In Theater at Disney's Hollywood Studios has made some changes to their menu. They used to have two menus, one for lunch and one for dinner. The restaurant has consolidated them into one menu for the entire day. Some changes to the menu have also been made. Items have been added and removed. Cosmic Concoctions have stayed the same with no changes to items or prices.